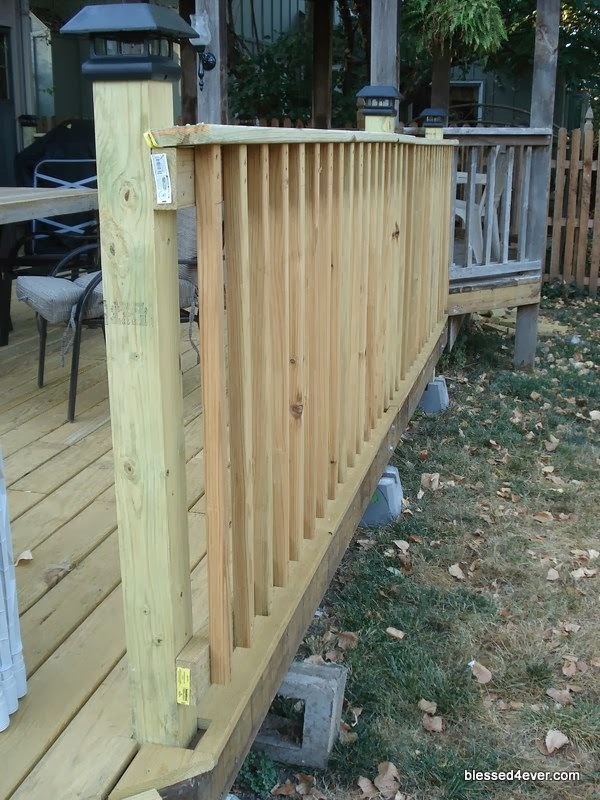 We finally finished the deck! To date this was the biggest project that we have tackled at our new home. It didn’t help that it was almost always 100 degrees or above everyday that we worked on it. Sometimes you have to do what you have to do. 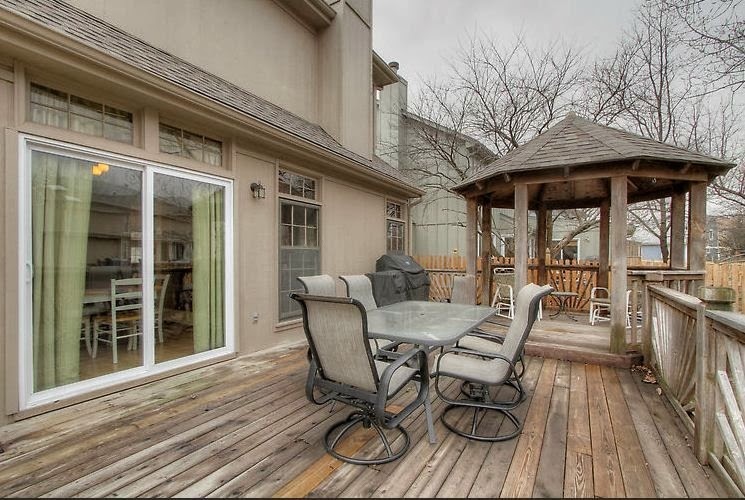 Here is what the deck looked like when we first moved in. 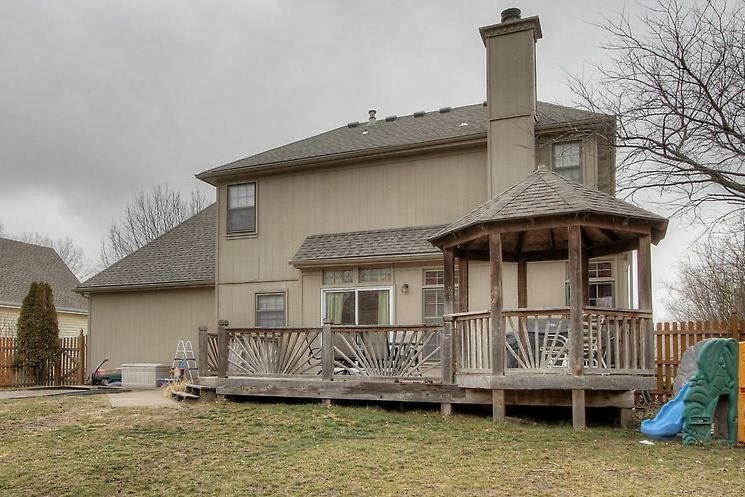 The pictures are a bit deceiving and it makes it look like the deck wasnt in that bad of shape. 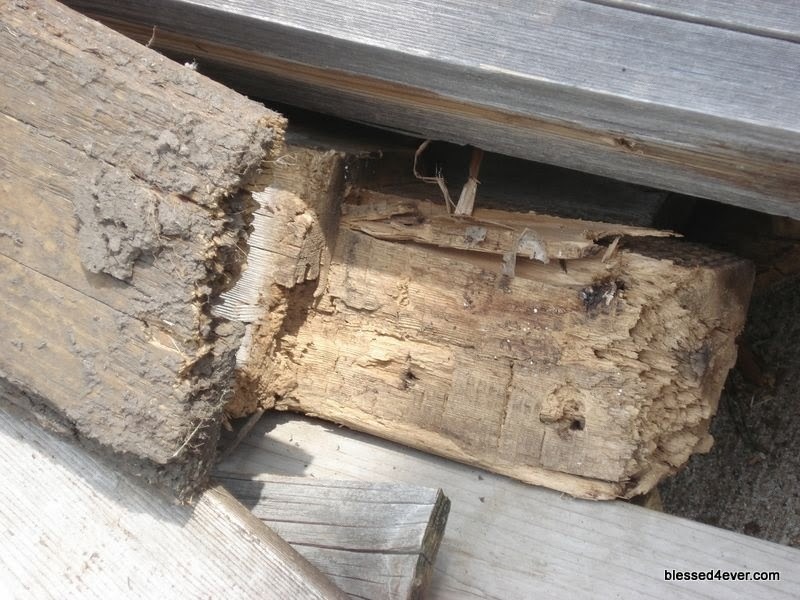 But up close it was easy to see plenty of wood rot amongst pretty much all of the boards. 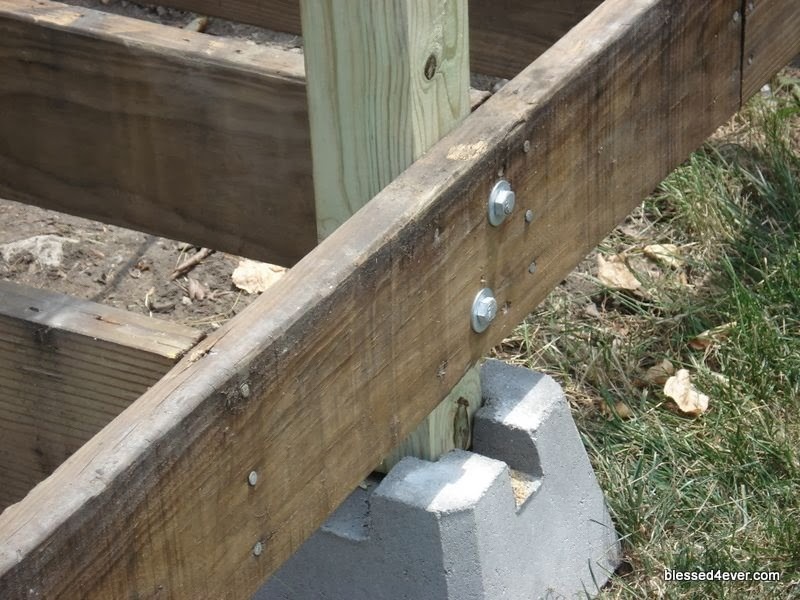 We were just going to replace the top boards but after we ripped them off, it was quite apparent that we needed to replace the supporting posts as well. 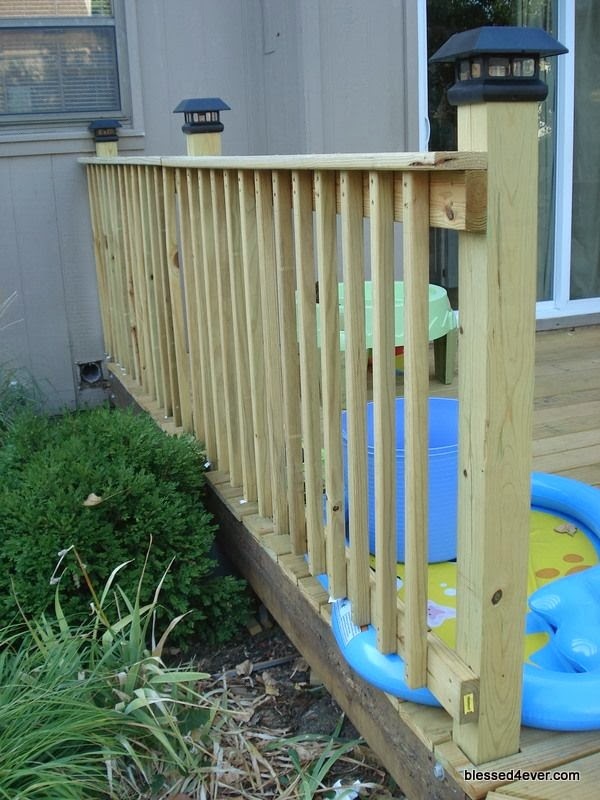 We decided to go with 5/4″ x 6″ pressure treated lumber instead of the 2″x6″ cedar that the deck currently was composed of. This was mainly a decision based on cost. 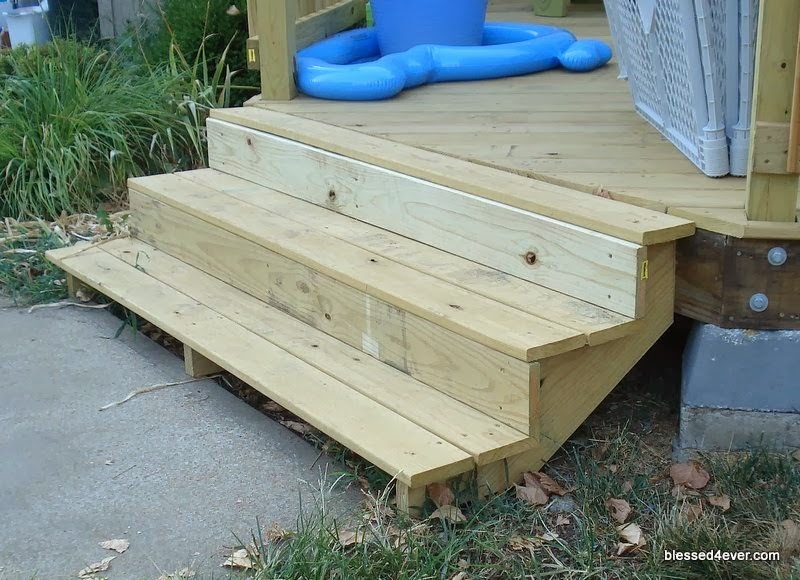 Although the deck wasn’t flimsy to begin with, we wanted to do a few things to make the deck even more secure. 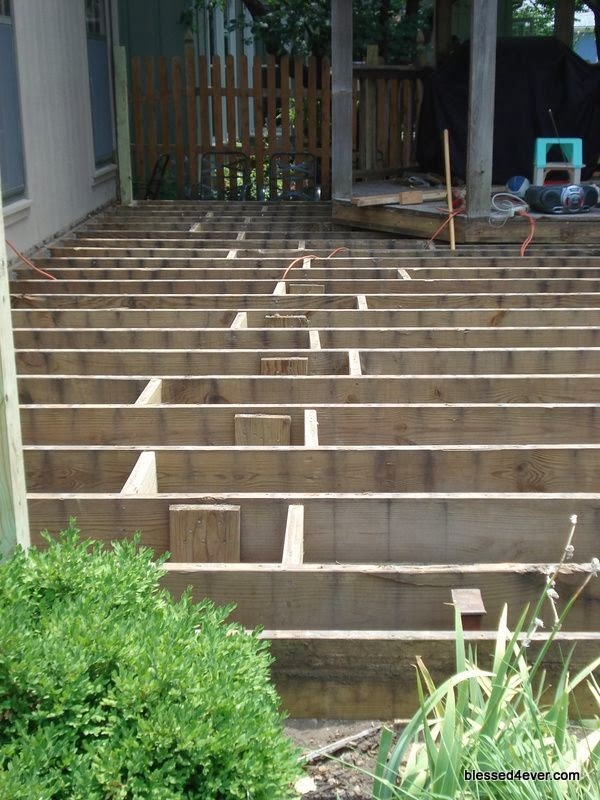 We accomplished this by adding some more braces between the joists (were only three braces originally). We added everything else you see in this picture. 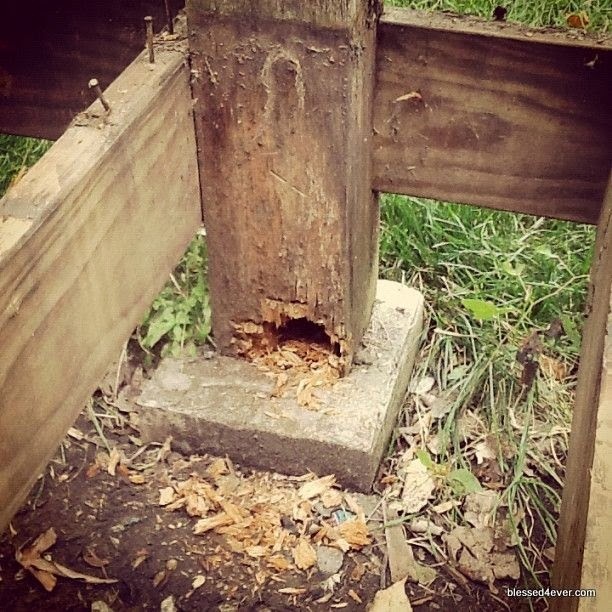 We were also surprised to see that the original support posts were not really in concrete but rather set on the ground with a small 3 inch concrete “pad” poured around it. We ripped those out and put down Dek-Block‘s® instead. 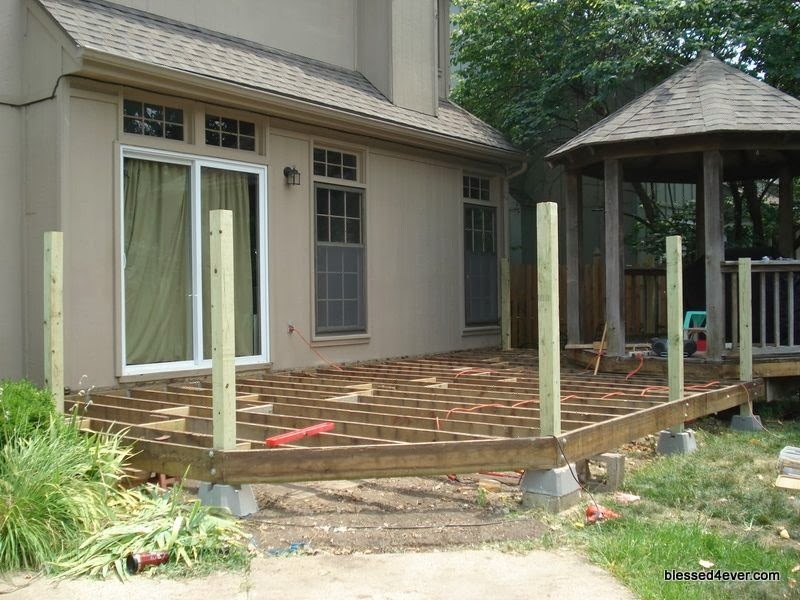 Although not as secure as a poured concrete footing, we felt it would suffice for this deck. Once we had the new support posts installed everything else just sort of fell into place. 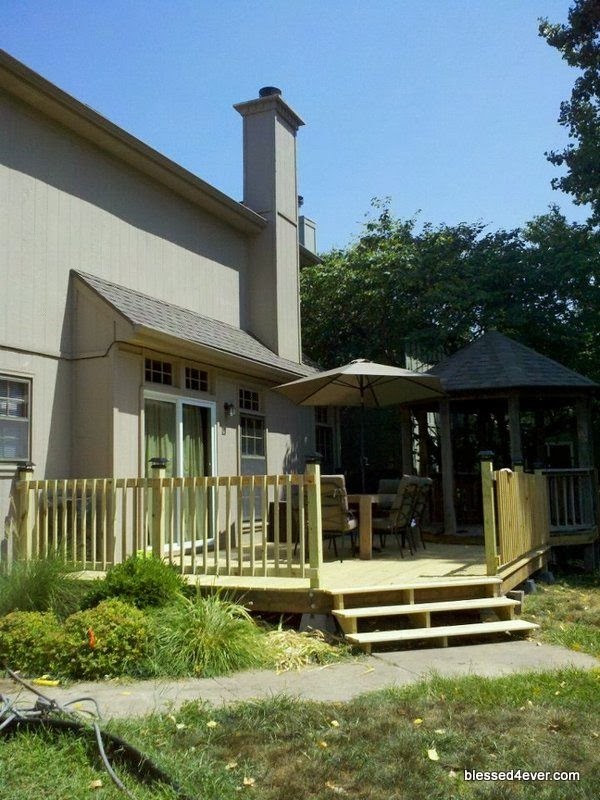 We put down the new deck planks, installed new railings capped with solar lights, and built out new stairs. The project was a ton of work but the end result is amazing and everyone that see’s it thinks it looks amazing.